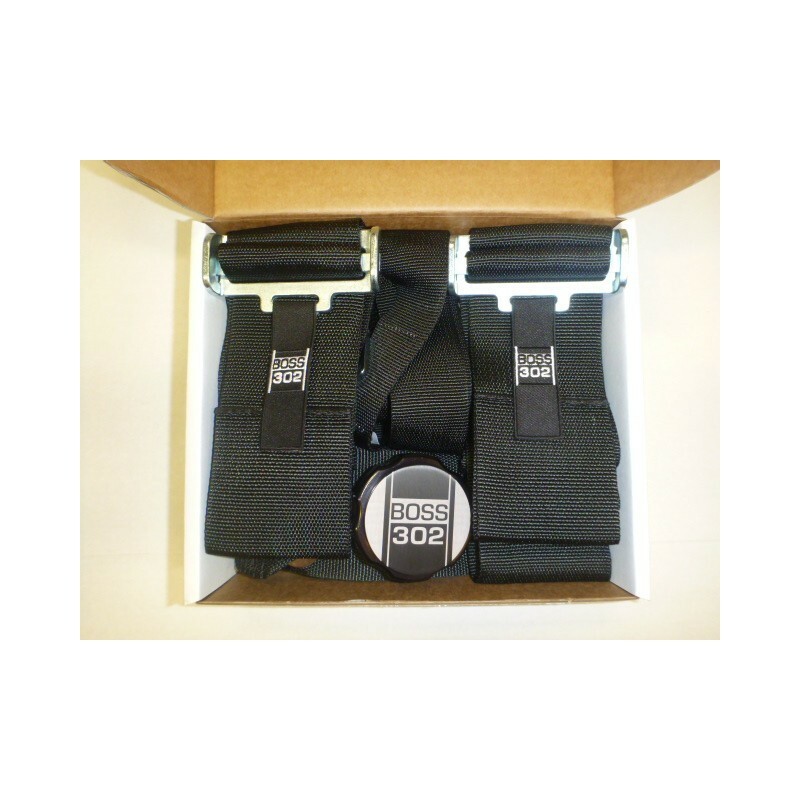 This is a 3" Harness Kit which includes lap, shoulder, and anti-submarine belts. The belts are manufactured by Crow Enterprises and are their most current model with the very popular cam-release. 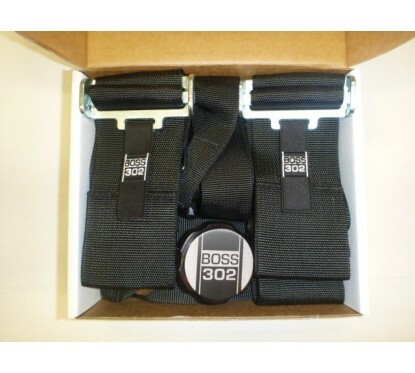 The Harness Kit has been customized (aesthetically) with "Boss 302" embroidered tug straps (one on each shoulder harness). Also, there is a "Boss 302" logo on the central cam release. 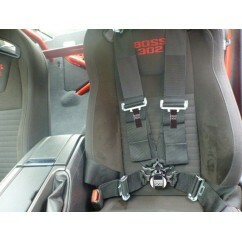 You may choose the "plain" option if you do not want these Boss 302 customizations. 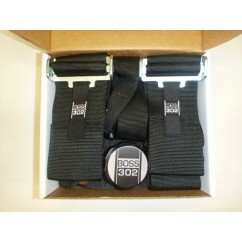 The belts are available in black or red - please specify when ordering. 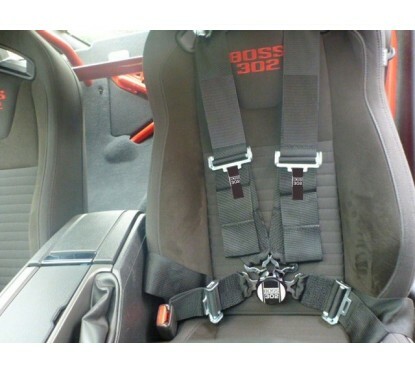 The lap belt will need an attachment point to clip to in order to be functional in the car. 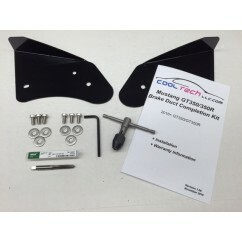 Cool Tech offers a Mustang specific clip set - constructed from TIG-welded 3/16" steel. After fabrication, the clip sets are custom plated in nickle for a nice appearance. The clip sets are available separately and can be ordered for one or both seats. Made in the USA - Re-certification available.